We empower independent community pharmacies by providing them with innovative tools and expertise to effectively manage their business, streamline operations and increase profit. Helium, designed to run today’s pharmacy efficiently by focusing on innovation to streamline day to day operations, so pharmacists can focus on serving customers better leading to more profits. Manage credit and cash sales, as well as process returns easily. Helium PRO also makes printing barcodes, and print NSSF invoices automatically convenient. Tired of stock discrepancy? Helium PRO guarantees, stock accuracy and peace of mind. Helium PRO also makes it very easy to manage supplier accounts, returns, and payments. Helium PRO offers pharmacists and 360° view of their customers. Track allergies, clinical notes, and purchase history of patients using Helium PRO's modern Patient information module. 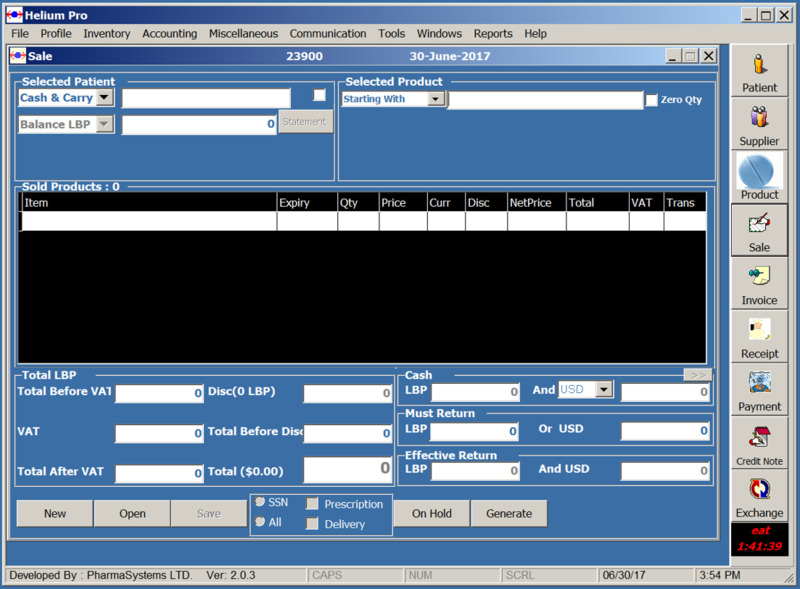 Full pharmacy accounting backbone, including VAT compliance, receivables, journal entries, and supplier reconciliation. Get a full view of your pharmacy's performance with Helium PRO's extensive reporting module. Manage your pharmacy's employees access rights and privileges without the need for a PHD in IT. 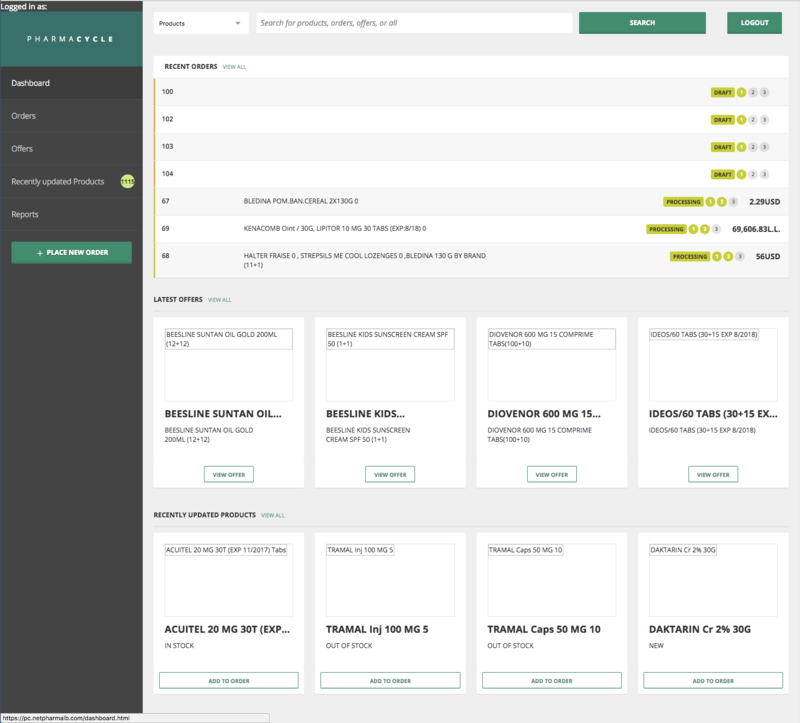 PharmaCycle, a modern, cloud based, cross platform portal created to streamline order placement and settlement between pharmacies and pharmaceutical suppliers. It gives pharmacies real-time and secure access to an always available online supplier catalogue, to get information, order, fulfill and settle, all electronically and on the spot. Items from different suppliers can be ordered through the system in a single order! You can access PharmaCycle from anywhere, using any device. Phone, Tablet, or Laptop. No need to be at the Pharmacy to mange your orders. Using Pharmacycle is completely free! We do not charge you for usage, we do not charge you for orders. With Pharmacycle, pharmacists can track the status of their orders in realtime. We allow pharmacies to make patient care and helping customers their top priority by using our experts and our technologies to support them in managing every last detail of the pharmacy. Using world’s leading cloud accounting software to offer accounting and bookkeeping services to member pharmacies to reduce time spent managing paperwork and provides extensive reporting and forecasts on the financial results of the business. Real time view of business performance and different retail KPIs including trend analysis and management alerts for key indicators. Design and implementation of customer incentive programs to increase customer engagement and return ratios to increase pharmacy’s sales performance and profitability. Tailor made clinical services for each of the independent community pharmacies aiming at increasing patient care, treatment compliance and drug adherence.